The word "camp" can be associated with a trip to the woods, sleeping in a tent, or another form of camping. For all who love camping, summer camping into the wild, and sleeping in tents, the .camp domain is a very attractive option. If you are organizing trips into the wild, if your hobby is camping-related, or you are offering tourist equipment, the .camp domain is very suitable for you. 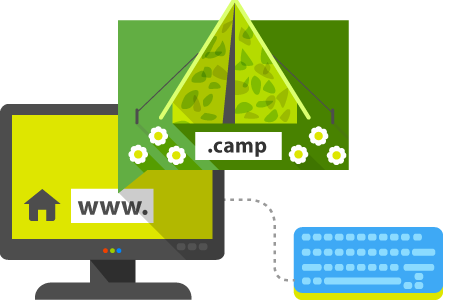 Register your .camp domain now!